Nationally known landscape painter and sculptor Vic Riesau’s work can be seen in prestigious galleries and collections throughout the U.S. What his students often ask is how does one progress in a career in art? How do artists wade their way through the quagmire of fundamental challenges such as utilizing observation, experience, networking, connections, mind-set, media issues, and artistic perspective in an ever-shifting art world? 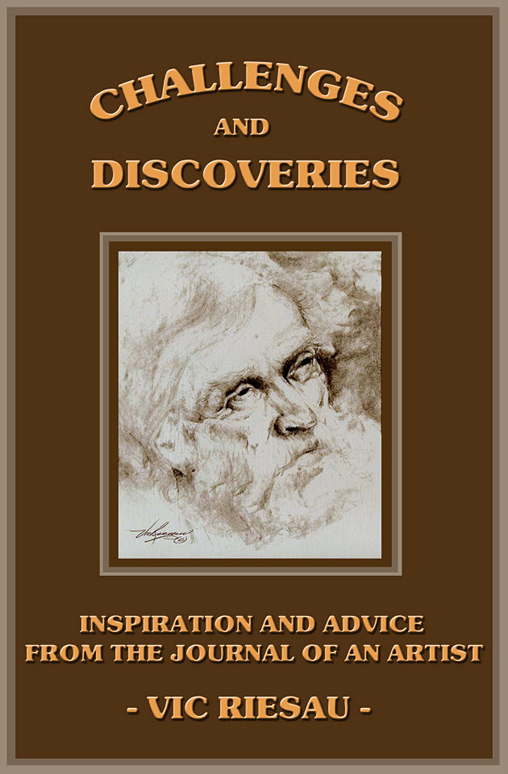 In Challenges and Discoveries: Inspiration and Advice from the Journals of an Artist (Xulon Press), Riesau covers these topics and more as he relates the trials, tribulations, joys and epiphanies in his path as a creative artist. Culled from journal notes he gathered while preparing classes for his long-standing students, “This is not a book about HOW to paint, but suggestions and observations on what I have found are essential tools and perspectives important in sustaining a life as a fine arts painter,” the author notes. 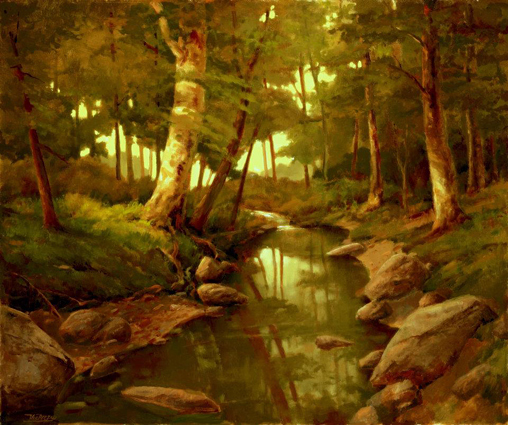 Enthusiastically debuted at the first Plein Air Conference in Las Vegas in April of 2012, Challenges and Discoveries found wide acceptance among artists, collectors and industry movers-and-shakers alike. A great addition to the reference library of any artist in your circle of creative family and friends, the book also provides insight for anyone seeking an understanding of the life of an artist. You can find it online at Amazon| and Barnes & Noble or order directly from the author at www.vicriesau.com for a signed copy for only $15 (+ $3.99 domestic shipping & handling*). Vic Riesau is a Signature Member as both a painter and sculptor of the California Art Club and serves on its Board of Directors. © Vic Riesau. All rights reserved.